Regional U.S. IOOS partners are essential to building and supporting U.S.IOOS. They provide increased observations, distinctive knowledge, and critical technological abilities, and apply these towards the development of products to meet regional and local needs. U.S. IOOS is comprised of eleven regional associations (RAs), which guide development of and stakeholder input to regional observing activities. The RAs serve the nation's coastal communities, including the Great Lakes, the Caribbean and the Pacific Islands and territories. 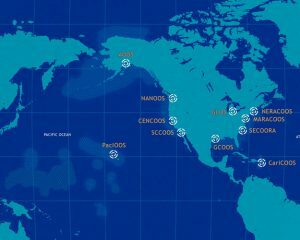 The Alliance for Coastal Technologies (ACT) is an important partner working with both the federal and regional ocean observing organizations within U.S. IOOS. ACT is a NOAA-funded partnership of research institutions, resource managers, and private sector companies that supports the development and adoption of effective and reliable sensors and platforms. ACT is also committed to providing the information required to select the most appropriate tools for studying and monitoring coastal environments.